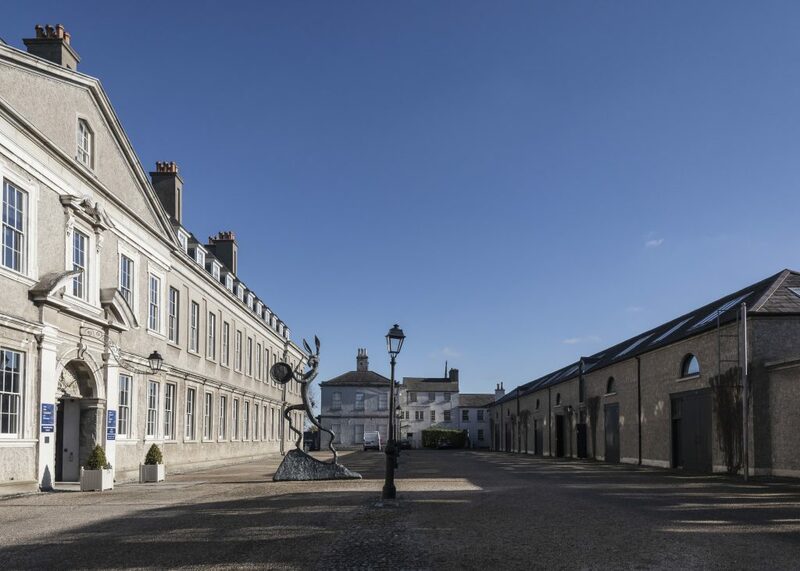 As the first Fulbright Scholar resident at IMMA, I have the privilege of living and working on the spacious grounds of the Royal Hospital Kilmainham. In my “real life,” I am Director and Curator of the Perlman Teaching Museum at Carleton College in Northfield, Minnesota. But in a wonderful eight-month time-out, I join IMMA’s Collections Department, taking up special projects related to photography and lens-based art works. This blog post, though, will focus on life as a temporary resident in a shifting community of artists, critics and writers who get to stay at the museum after the big iron gates swing shut. 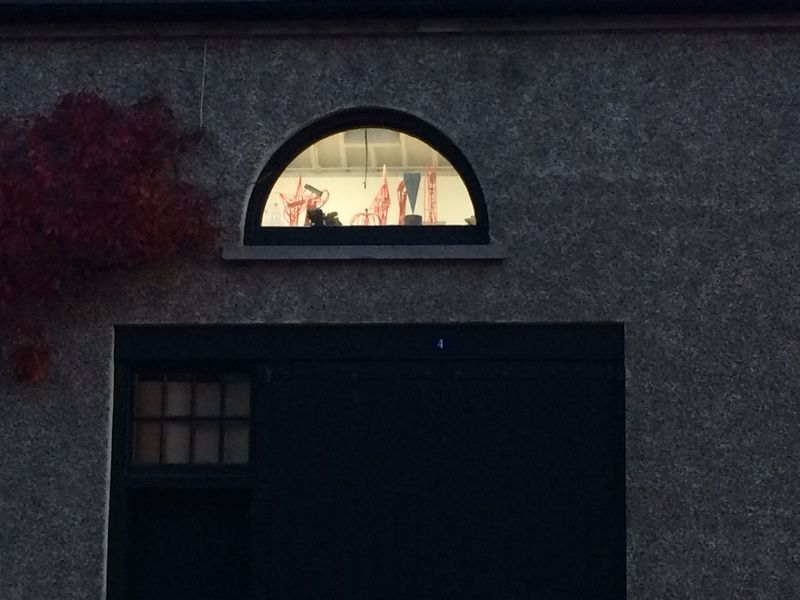 The unique Residency Programme, providing time and studio space for emerging and established professionals to experiment, work, think, and engage with the museum staff and publics, is a dynamic complement to IMMA’s exhibitions, activities and events. The programme hosts creative types from Ireland and abroad for periods of a few weeks to several months. Lodged in one of three apartments, I will be the longest resident to date when I depart May 20, 2016. Not all “residents” actually live at the museum; a few Dublin-based artists commute to one of the eight studios, while others settle into an apartment or a bedroom in the Flanker, a communal house at the east end of the two former coach houses just across from Barry Flanagan’s giant joyous hare. 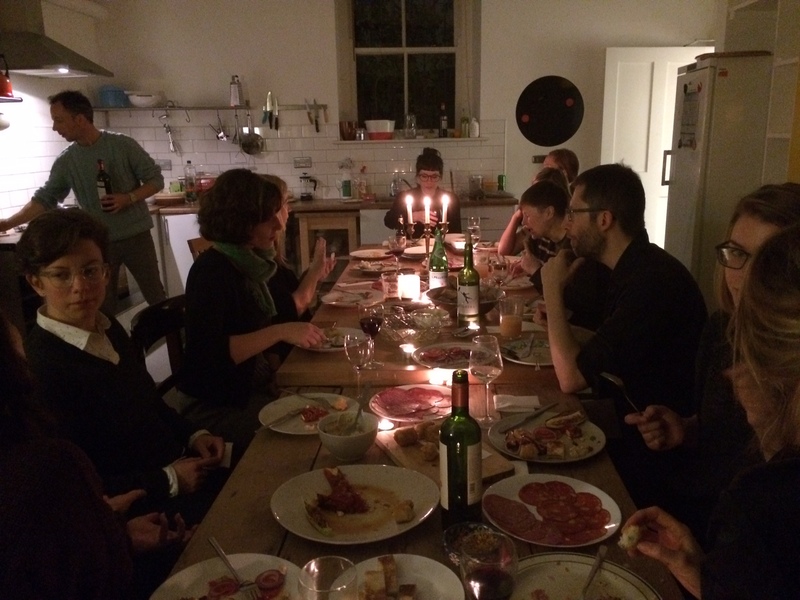 IMMA’s Residency programme not only gives participants a great place to work (a studio), and a home (some of us), but also stimulates the intellect and nurtures dialogue and friendship. Janice Hough, the Residency Coordinator, provides constant email blasts with news about art openings, lectures, films, and more. With some of us away from friends and family, we quickly cohere socially. The Flanker, boasting a spacious kitchen, is perfect for community meals – as this photos from an October 13 dinner demonstrates. Happily, the artistically gifted often bring skill and passion to cooking. Over the past ten weeks, I have connected with some of the resident artists, whom I will introduce here through portraits and paragraphs. 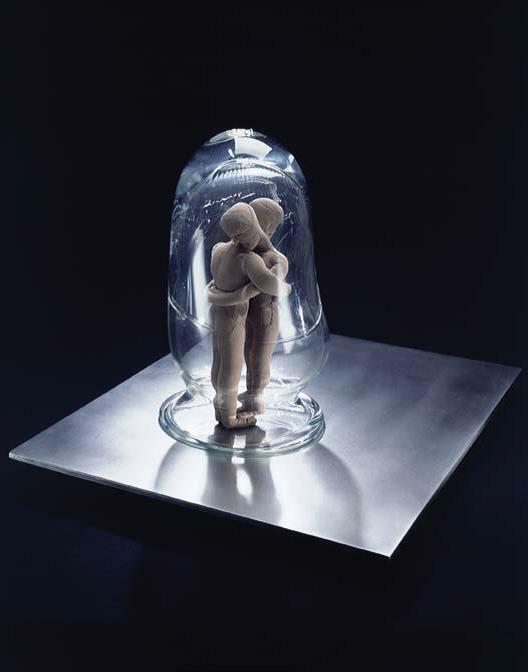 Sculptor David Beattie, who lives in Dublin a short distance from the museum, happily and regularly retreats to Studio 12 to investigate the inter-connectedness of objects and things. The lofty sky-lit space provides the perfect container for his evocative installations and hybrid objects. 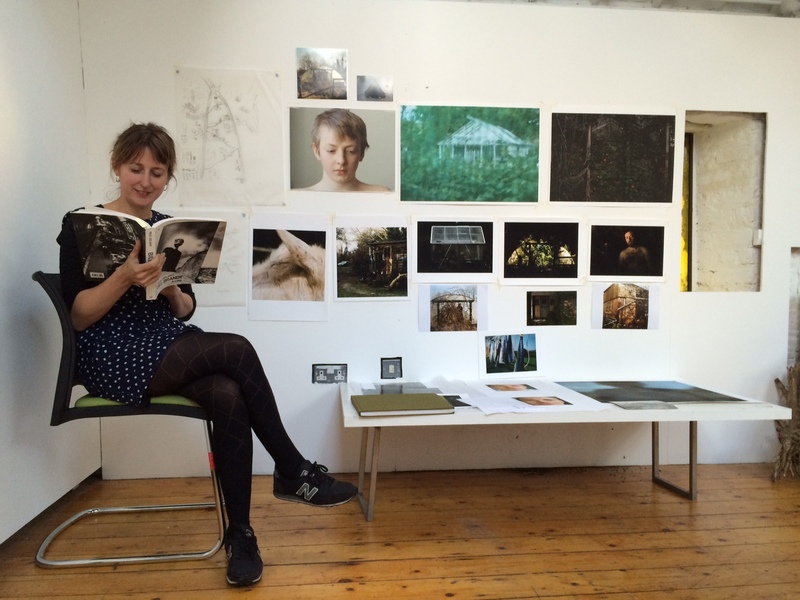 Beattie is in residence from August 2015 to February 2016. 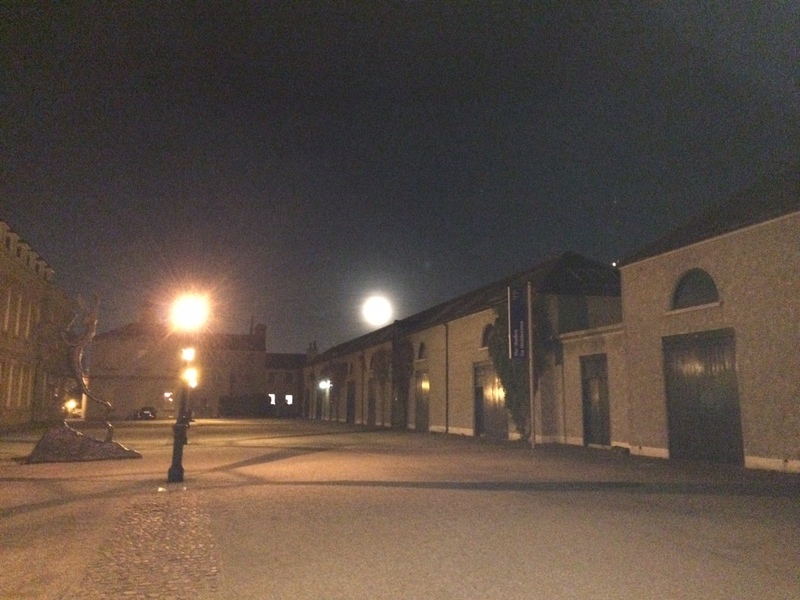 This nocturnal view, shot from the IMMA grounds one misty evening, testifies to recent resident James L. Hayes‘ avid work habits. 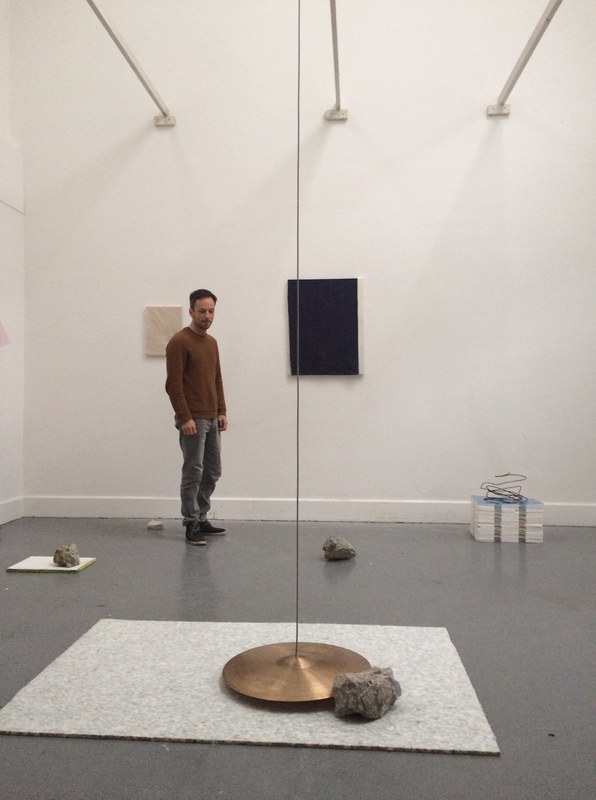 Taking advantage of time out from his duties as lecturer at the Crawford College of Art and Design, Cork, the artist dedicated his residency to research on materiality and sculptural processes, as part of a Research Production Residency with the Sculpture Factory. Tiny towering red wax constructions embody the artist’s playful engagement with metal casting processes and forms. Elise Rasmussen, a New York-based Canadian artist, has been living in the Flanker and working in Studio 6a since mid-September. To the space-starved New Yorker, the generous IMMA studio is a special treat. Beginning her IMMA stint by simply thinking and reading, Elise is now in the early stages of a project focusing on the rhinoceros, a strange creature coveted, collected and mythologized throughout history. 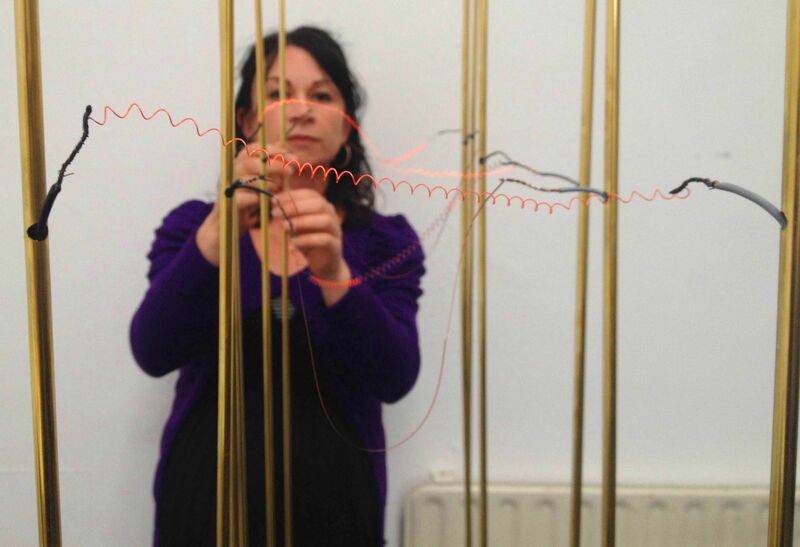 Sculptor Margaret O’Brien, who recently completed her time at the IMMA studios, contravenes the heavy, earthbound nature of sculpture through open compositions and electrical current. She likens the dynamic play of live wires in her work to drawing, and indeed, to the forces of nature. 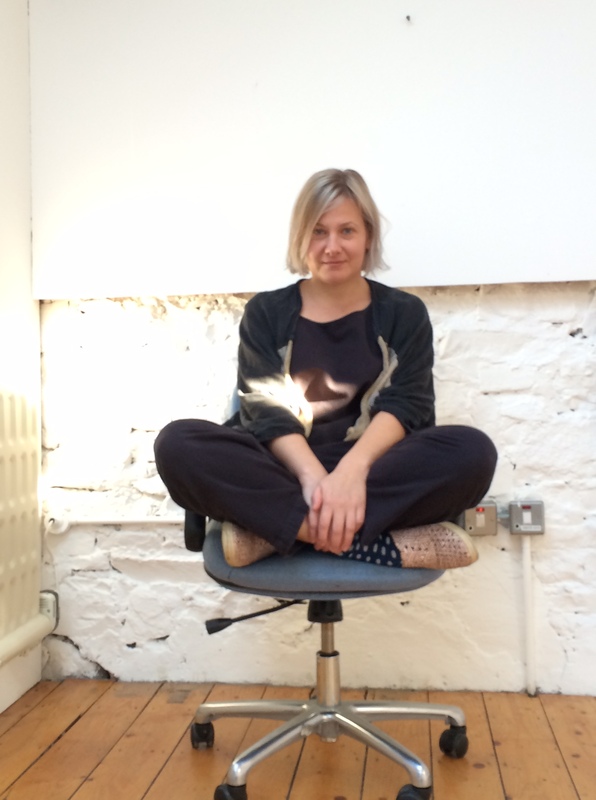 As our longest resident at IMMA we hope to hear more from Laurel in 2016. 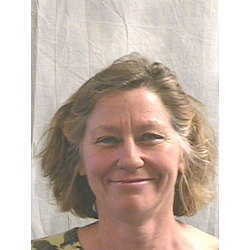 Laurel Bradley, Fulbright Scholar, Irish Museum of Modern Art, Dublin (Sept. 2015 – May 2016); Director and Curator, Perlman Teaching Museum Carleton College, Northfield, Minnesota. Do I lie when I say I love you?